It's not the first time that a vulgar word is the decisive criterion whether a film gets a higher or lower rating even though its content isn't all that critical. Normally, the studios then go ahead and sacrifice the relevant term. 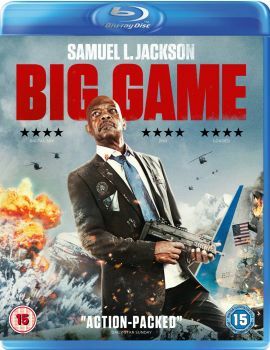 The adventure thriller Big Game was no exception as it had to omit Samuel L. Jackson's favourit curse word (we reported). Often enough, it stays that way when the UK home video releases follow the theatrical run. But not in this case if we are to believe the BBFC's database that lists it with the "15" classification and thus with the rating it would have gotten in cinemas had the drastic word not been removed. In the end, everybody has a reason to be happy. The British film fans, Jackson and the rest of the world that wasn't affected by this censorship right from the start. You can order the Blu-ray either on Amazon.co.uk or on Amazon.com.